Business owners are exposed to a unique set of risks during the course of construction — especially when strict deadlines must be met for the operation to begin collecting income or rents. Any delay in construction could place your commercial client at risk for financial hardship. Additional builders risk coverage can be secured to further protect your business owners; but to do so, agents must have a solid understanding of it in order to properly secure the risk. Help clients minimize the impact of unexpected losses and get back to business as fast as possible. 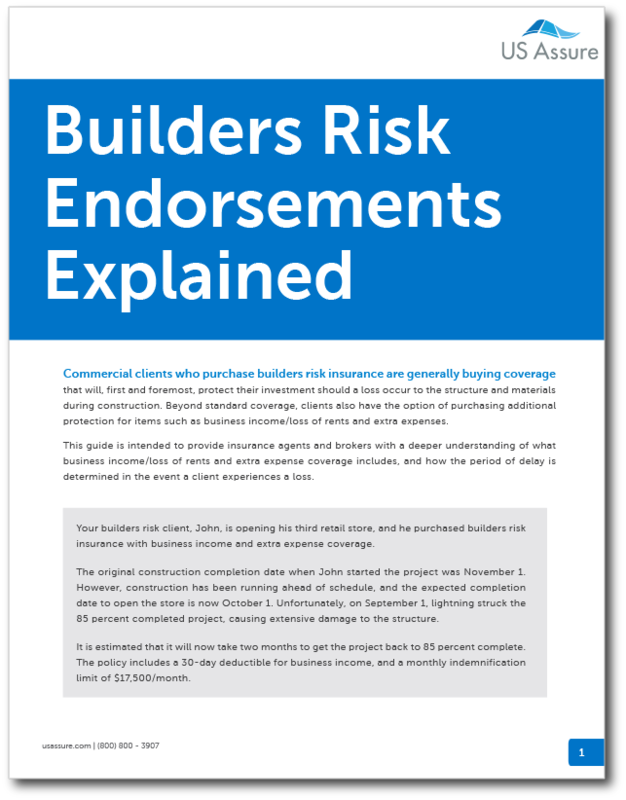 Complete the form today to download Builders Risk Endorsements Explained: Business Income and Extra Expense.